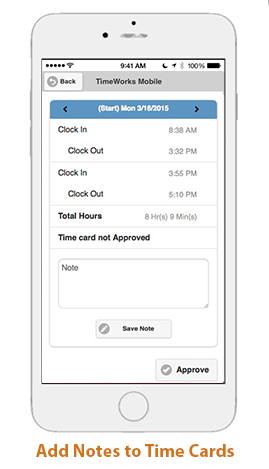 The TimeWorks Mobile app lets your employees clock in and out remotely, anytime and from anywhere. 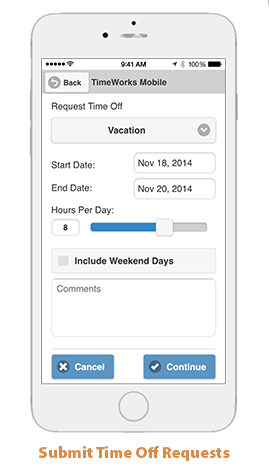 It gives you the flexibility to manage their time from the office, on the road, or in your home workspace. 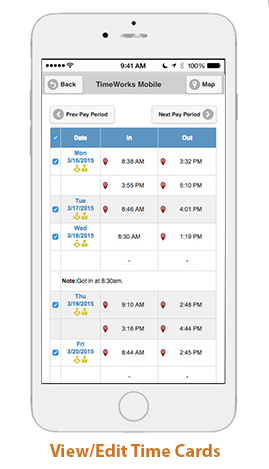 Both employees and supervisors can easily view, note and edit time cards and much more, right from their mobile device. 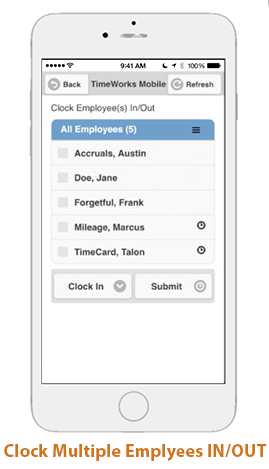 Empower your employees, manage labor costs and cut admin time on-the-go! 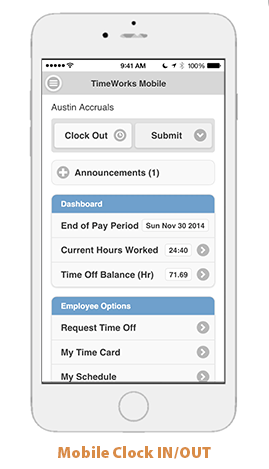 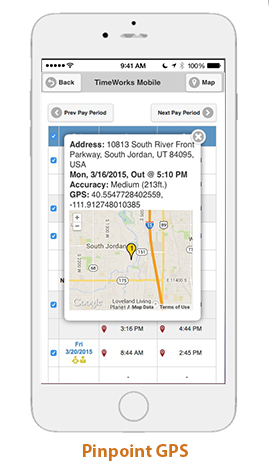 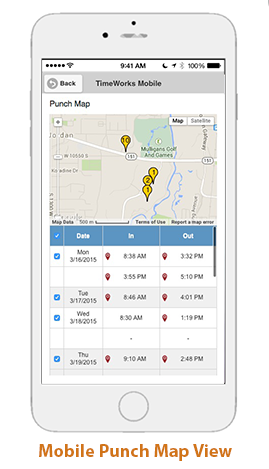 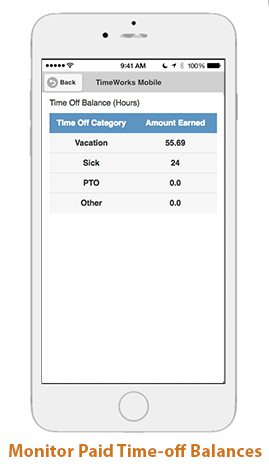 From punching employee time cards to supervisor time-offapprovals, the TimeWorks Mobile app gives you access to its features at anytime from anywhere. 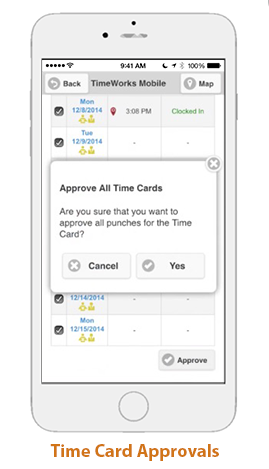 Ready to get started with Clock-In Solutions?